Voters who haven’t yet cast their ballots in early voting step into the voting booth in less than a week to make their voices heard. Citizens need to trust in that election system as part of the democratic process and the transition of power. Christopher Faricy, assistant professor of political science in the Maxwell School of Citizenship and Public Affairs, discusses recent claims that voting systems may be rigged and what it means to have a smooth transfer of leadership between the old and new administrations. Faricy is the author of “Welfare for the Wealthy: Parties, Social Spending, and Inequality in the United States” (2015, Cambridge University Press) and focuses his research on public policy, political economy, political institutions and public opinion. Q: How secure are our voting systems? Are they vulnerable to widespread rigging/fraud? A: State governments run elections, so the security depends on the procedures of the individual states. Our election system is neither rigged nor likely to suffer from widespread fraud. First, a nationwide rigging would involve coordinating fraud in 50 states and hundreds of counties. A scenario beyond even an “Ocean’s Eleven” movie. Next, the election process is public in the U.S.—held in gyms, churches and schools and administered by private citizens and states—allow both political parties to appoint poll watchers. Q: What did we learn from the 2000 Bush v. Gore election? What impact did it have? A: That voting in one state can swing a close election. We should remember that the recount that occurred in Florida was mandated by state law and not brought about by Gore or the courts. Gore graciously conceded after the Supreme Court’s ruling in Bush v. Gore certified the Florida vote and urged Americans to unite around President Bush. Q: Historically, have there been any other highly contested election results? A: Not in the modern era. Q: What does it mean to have a smooth transition of power between administrations? A: Most citizens take pride in the long history of the peaceful transition of power from one presidential administration to the next in the United States. We have a strong tradition of the losing candidate conceding to the winner. Presidents leaving office often pen a letter to the incoming administration offering advice and support. In addition, most administrations instruct their staff to help the incoming administration’s staff in transitioning into the White House. Q: What happens if a candidate doesn’t concede? A: While it would be unprecedented in American history for the losing candidate not to concede, it would not matter legally. The winner is certified by the vote in the Electoral College. 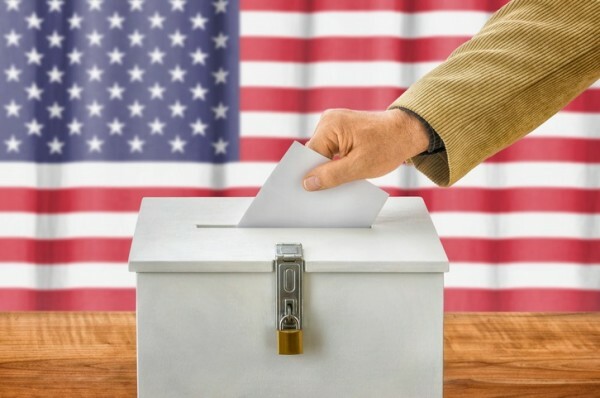 In the American system, citizens do not vote directly for a candidate, but rather a slate of state electors that in turn cast the formal ballots for the presidency. Also, if the polls hold up and Hillary Clinton wins on election night, I would expect Republican leaders to recognize and respect the outcome of the election regardless of whether or not Donald Trump concedes on election night.